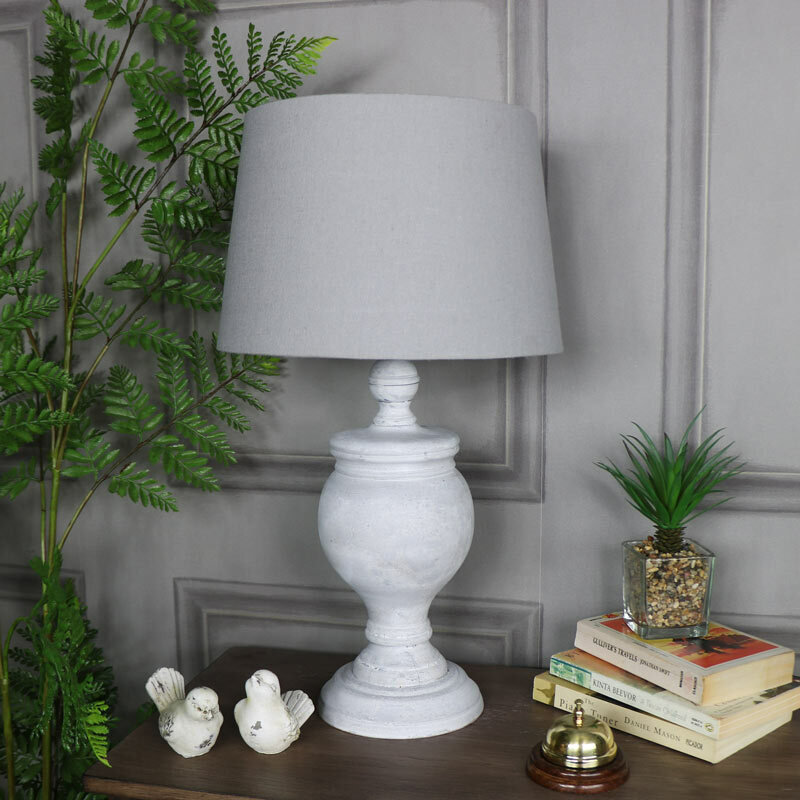 This table lamp is perfect for adding a little extra lighting to the living room, hallway or bedroom. Rustic, antique white base with a grey linen shade. Sit at your bedside for some night light, in your living room or hallway to add some soft lighting. 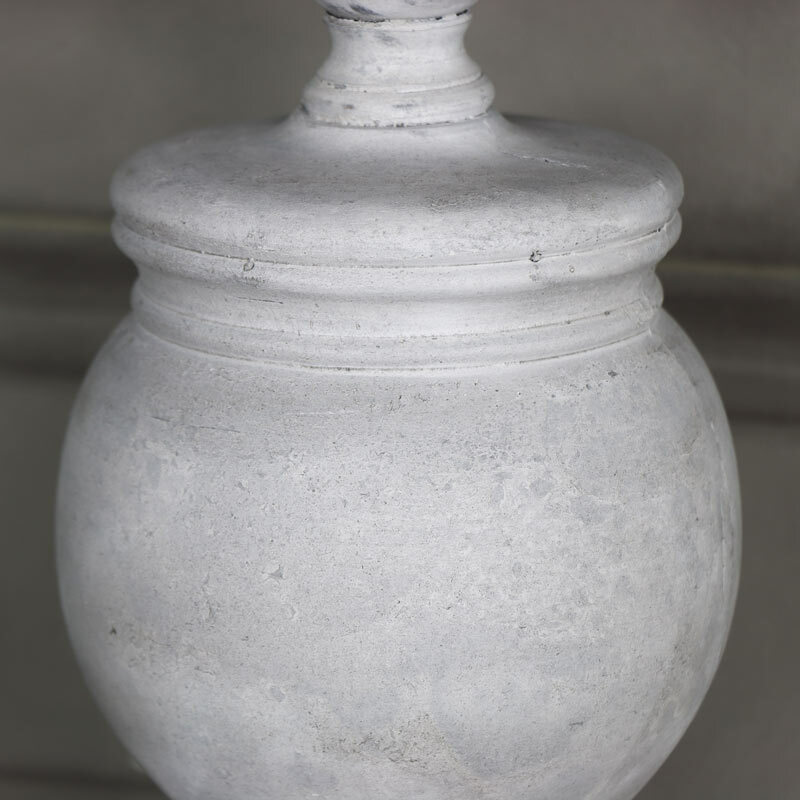 The base is finished in an antique white finish to create some rustic appeal and finished with a grey linen lamp shade. A great look for a rustic country cottage interior. This table lamp is perfect for adding a little extra lighting to the living room, hallway or bedroom. Rustic, antique white base with a grey linen shade. Sit at your bedside for some night light, in your living room or hallway to add some soft lighting. 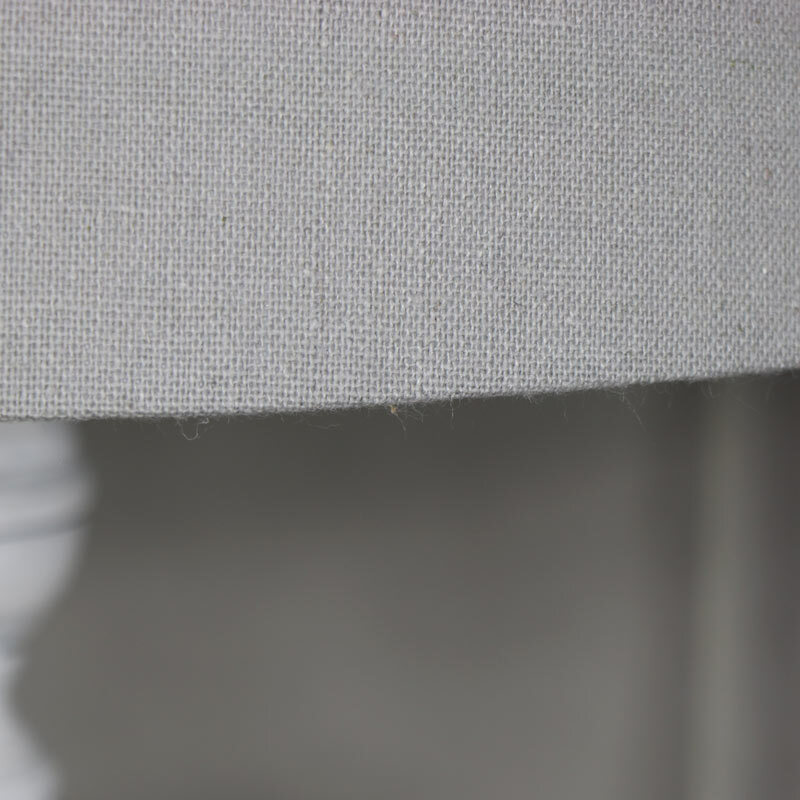 The base is finished in an antique white finish to create some rustic appeal and finished with a grey linen lamp shade. A great look for a rustic country cottage interior.